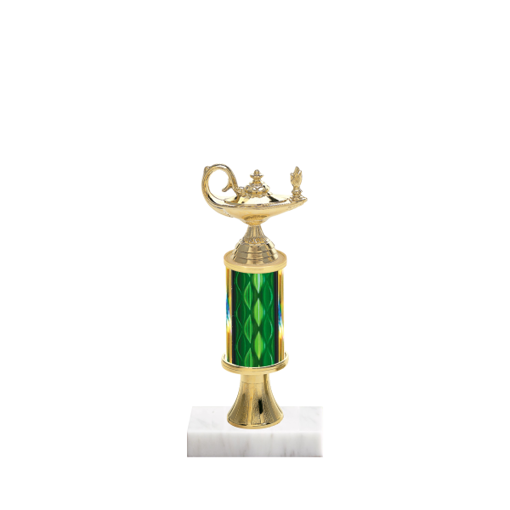 Our Custom 11" Academic Trophy is a sure thing crowd pleaser! Designed with unique characteristics, only from Newline, where you choose the Academic Figurine, column color and your choice of a black or white marble base. Select our custom trophy Web app with thousands of Academic Trophy options at your fingertips, FREE engraving and lightning- fast service today - just click the "CUSTOMIZE THIS TROPHY" button, and you'll be in charge!